Bred from the same genetic template, Phase I Clone Troopers share a bond that cannot be replicated by the Separatist’s B1 Battle Droids. Thanks to the close connection they share with one another and the Jedi that lead them into battle, these troopers have become renowned for their resolve and dedication. They will always have the backs of their fellow troops and will often join together to provide critical fire support to repel a Separatist attack or push one step closer to a critical objective. 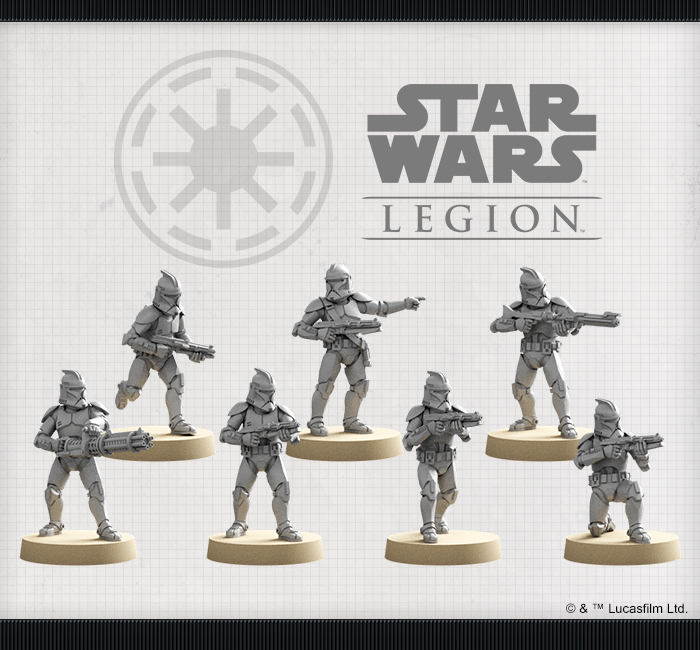 The Phase I Clone Troopers Unit Expansion contains a full unit of seven unique, unpainted Phase I Clone Trooper miniatures, identical to the Phase I Clone Troopers included in the Star Wars: Legion Clone Wars Core Set. Five Phase I Clone Troopers wielding DC-15A Blaster Rifles are joined by a Z-6 Phase I Trooper and a DC-15 Phase I Trooper. 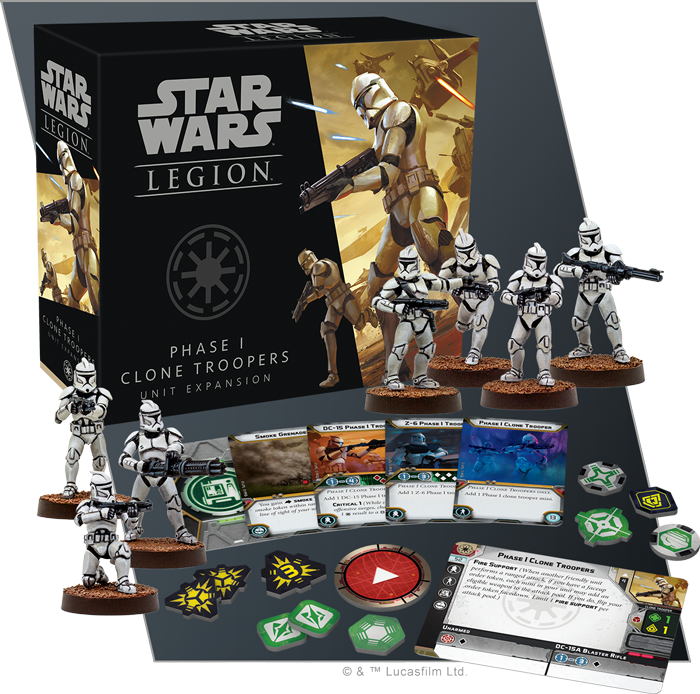 This expansion also includes a unit card and an assortment of upgrade cards, inviting you to customize your Clone Troopers’ gear to fit your plan. While they may not possess the same skills as traditional flesh-and-blood troops, B1 Battle Droids do have a number of features specifically designed to exploit their superior numbers. Unlike their organic counterparts, B1 Battle Droids are interlinked, allowing them to quickly coordinate with one another to form a cohesive army that opposing commanders can only dream of. 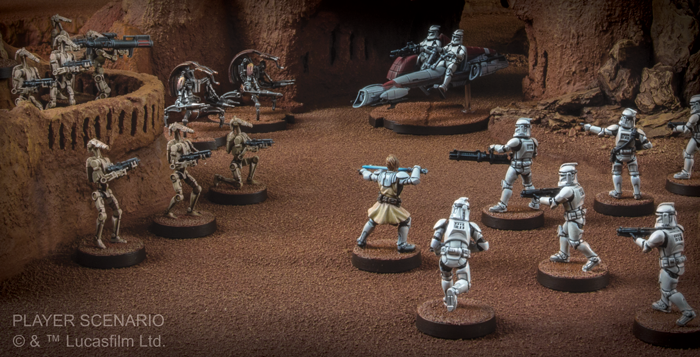 The B1 Battle Droids Unit Expansion gives you the chance to supplement your Separatist Alliance forces with even more battle droids. 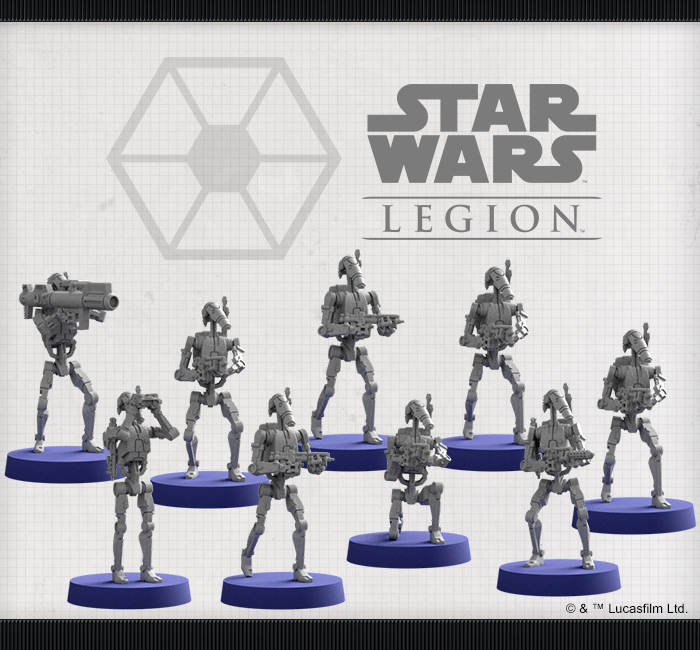 Nine finely detailed, unpainted B1 Battle Droid miniatures, identical to those found in the Star Wars: Legion Clone Wars Core Set, stand ready to form the backbone of your army, including two miniatures carrying heavy weapons. 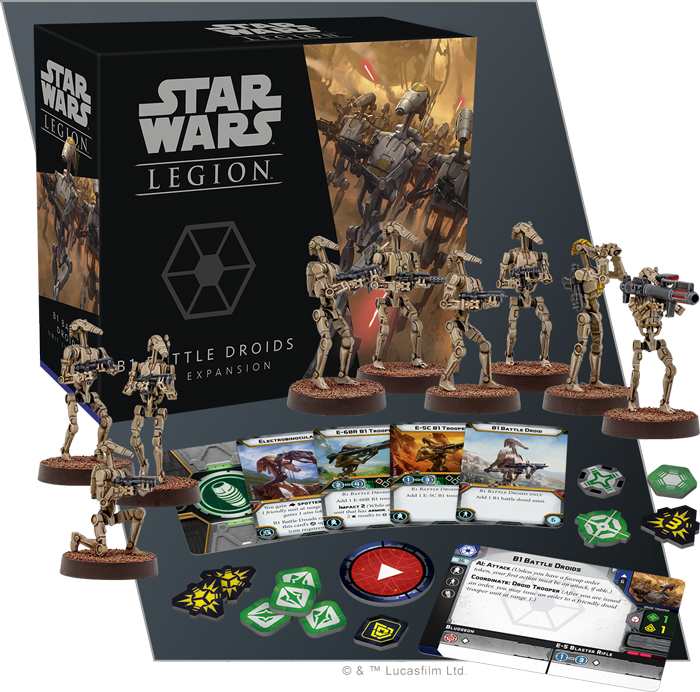 Joining these miniatures are a unit card and a variety of upgrade cards, inviting you to make your own personal refinements to your battle droids.